The discovery of ghost rock in 1862 triggered a technological revolution and led to the development of various “ghost alloys.” Still a recent innovation in the world of firearms, before understanding how ghost-steel and other azrucite alloys impact arms manufacturing, we must first look at the traditional metal alloys used for making guns. Steel is an alloy of iron which contains carbon, and possibly small amounts of additional metals such as manganese, copper, chromium, or titanium. The strength and malleability of steel is determined by the amount of carbon in the alloy. Lower amounts of carbon produce “wrought iron,” which is soft and easily bent. Higher amounts of carbon strengthen the steel, but “cast iron” can become too brittle. For centuries, blacksmiths have experimented with different alloying techniques to produce the perfect metal for their needs. For instance, a good saber blade must be flexible but not easily bent; able to hold a polish and be sharpened to a fine edge, but not so unyielding as to splinter upon impact. Gunsmiths have a different set of requirements that those making swords, knives, and bayonets. The iron used for a firearm’s frame and barrel must be strong enough to contain gunpowder explosions without deforming or fracturing. 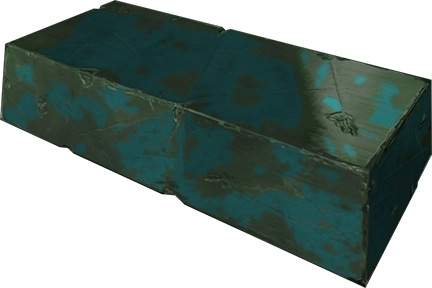 Often this iron is treated to case-hardening (explained below), or “blued” with an oxide finish in order to prevent corrosion. Many firearms also feature buttplates, trigger-guards, receivers, or frames made of brass, a durable alloy of copper and zinc. Some guns may sport a nickel finish, which gives them a shiny, silvery appearance; while ceremonial guns intended purely for ornamentation may be finished with precious gold or silver. Two lesser-known alloys employed by nineteenth-century gunsmiths are “gunmetal” and “German silver.” Gunmetal is a type of bronze, an alloy of copper and tin, with some zinc added to increase its strength and make it appear more “brassy.” German silver—also known as “nickel silver” or “electrum”—is actually not silver at all, but a decorative alloy of copper, nickel, and zinc. A .60 caliber flintlock pistol with a stock and trigger-guard of engraved German silver. In 1862, the discovery of azrucite—also known as ghost rock or blue coal—opened a new world of metallurgical possibilities. To date, no chemist has been successful in analyzing azrucite or understanding the physics of its cold blue flame, but chemical analysis using spectroscopy has confirmed ghost rock’s high carbon content. It has yet to be determined whether azrucite is a new allotrope of carbon, or if it represents a heretofore unknown carbon-rich compound. The first metallurgists who tried to use azrucite as a coal substitute were sorely disappointed, as early “ghost alloys” were highly unstable, often decomposing rapidly in sunlight or bursting into “cold flame” around human body temperature. This aversion to high-frequency light and elevated temperatures ushered in a period of experimentation with “moonlight metals,” most bearing fanciful names, but having little practical utility. Able to hold an intensely bright polish, “lunar steel” is lighter and more flexible than traditional steel, but becomes brittle under sunlight and frequently shatters into tiny slivers. “Mithril silver” is a form of white gold, an alloy of silver, gold, and copper tempered using blue flame; but despite its beautiful luminous glow, when exposed to sunlight it destabilizes, and crumbles into a mixture of gold dust and oxides of silver and copper. Named after the legendary metal of Atlantis, “orichalcum” is an unstable alloy of lead, copper, tin, and azrucite. A mottled, greenish-blue metal with physical characteristics similar to pewter, orichalcum bursts into cold blue fire when exposed to sunlight and/or temperatures above 110°F. In 1864, American industrialist Enoch Harrow successfully patented the “Harrow Process,” a method of making stable azrucite alloys by incrementally introducing gaseous azrucite and liquefied azrucite tars into a high-temperature mixture of iron, carbon, and trace amounts of mercury. After partnering with Pittsburgh industrialist William Kelly, the Harrow-Kelly Process became the worldwide standard for making “ghost steel,” an expensive alloy known for its incredible strength, comparatively light weight, high heat capacity, and malleability when subjected to “cold flame” smithing techniques. The Harrow-Kelly Process also formed the basis for Anthony Bessemer and Oswald Rearden’s “Darkhill Process,” in which aluminum is alloyed to ghost-steel to produce airship frames. 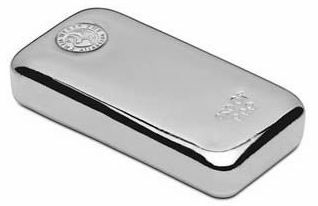 (As of 1876, aluminum remains a relatively rare and expensive metal.) Incredibly costly to produce, ghost steel is rarely used in the manufacturing of firearms, and only appears in the most expensive and elite of weaponry. In a technique known as “case-hardening,” a gunsmith treats an iron alloy in a way that causes carbon to migrate to the surface. This creates a firm outer layer of high-carbon steel around a softer core of low-carbon iron. 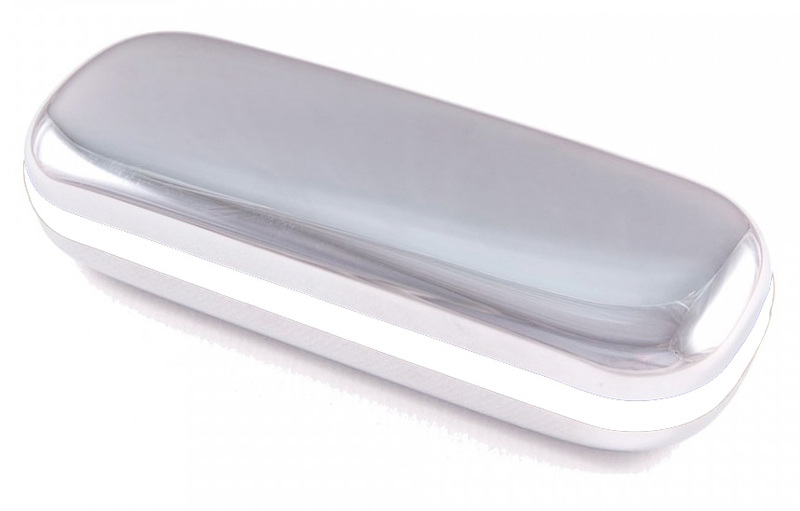 Not only does this protect the metal from corrosion, the softer core helps cushion blows and diffuse structural stress. Colt “Walker” revolver with case-hardened frame and blued finish. Case-hardening is usually done by placing the low-carbon iron in a “pack” of high-carbon material, such as a mixture of charcoal, ground bones, and animal hooves. Urine and salt are added to facilitate the process, and the “pack”—usually an airtight box—is heated to allow the carbon to migrate into the surface of the iron. Once the iron is removed and cleaned, it often has an mottled appearance. If the pack is heated using “blue coal,” the iron takes on an iridescent blue sheen, and becomes as resistant to corrosion as modern stainless steel. This is known as “ghost-hardening.” The untamed West being what it is, this colorful name has given rise to all kinds of rumors, particularly regarding the types of bones used to pack the iron; let alone tales of men driven mad, whispering to their ghost-hardened rifles in the lonely prairie night! In 1873, the young inventor Harlan Stone Counterfly—known as the “Blind Savant of Nashville”—developed a new style of heptagonal rifling. Counterfly called his technique “Nashville” rifling, after the John Bell Hood Armory where he was employed as an artillery engineer. Applicable only to ghost-steel alloys, “Nashville” rifling imparts greater stability to projectiles designed to fit its grooves, which increases both range and accuracy. The ghost-steel bore also resists fouling, leading, and erosion. So far, only the P74 “Manassas” and the P66 “Snider Commemorative” boast “Nashville” rifling, but “Colonel” LeMat has already made an offer to license the patent. When studying the history of firearms, it is often impossible to separate innovations in gun design with the evolution of different types of ammunition. Minié balls, brass cartridges, smokeless powder, and jacketed ammunition were all important advances, often developed hand-in-hand with the firearms intended to use them. As one might expect of Deadlands 1876, the biggest innovations in ammunition technology revolve around the use of ghost rock. A very expensive form of gunpowder with an iridescent blue sheen, “blue powder” introduces azrucite to the traditional blend of charcoal, sulfur, and saltpeter. 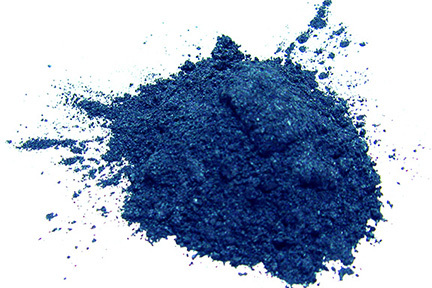 Blue powder generates nearly twice the force of an equal grain weight of black powder, which allows cartridge lengths to be shorter. In addition, blue powder produces a fraction of the usual smoke, an advantage to visibility during combat. For this reason, blue powder is sometimes called “smokeless” powder, although it’s significantly less “clean” than the nitrocellulose guncotton propellants of the 1880s. In early 1869, a delegation from Georgia’s New Macon Armory traveled to Deseret to tour New Canaan, the Mormon’s workshop and armory. During their visit, Confederate gunsmith Potiphar “Tennessee” Howell and his younger sister, the inventor Asenath Howell Leech, established a warm relationship with Mormon gunsmith Alan Loveless. A favorite topic of discussion was the work being done on azrucite chemistry in Europe by Michael Faraday, Humphrey Davies, Frederick Abel, and Pierre Curie. Remaining behind in Ogden, Asenath Howell Leech helped Alan Loveless explore various combinations of azrucite and black powder, finally developing an experimental propellant that contained significantly more chemical energy than black powder. Unfortunately, this “blue powder” was dangerously unstable. Sending their notes to Asenath’s brother at New Macon, in 1871 Tennessee Howell was able to stabilize the powder using a technique he termed “reductive quicksilver setting.” Loveless-Howell “Smokeless” Blue Powder was born, earning simultaneous patents in Richmond and Salt Lake City. Generating a quarter of the usual smoke and residue, it produces twice as much energy upon deflagration as traditional black powder. Extruded grains of blue powder before processing. Note the faint glow. One month after Loveless-Howell powder was introduced, San Francisco chemist Lei Ming received a patent from the Second California Republic for “Blue Powder No. 7.” Ming used a different chemical process than Tennessee Howell, stabilizing his powder using a nitrate oxidant derived from the guano produced by bats native to the Tartarus Rift. Ming’s BP7 produces more smoke than Loveless-Howell powder, but has a more efficient mass/energy ratio. 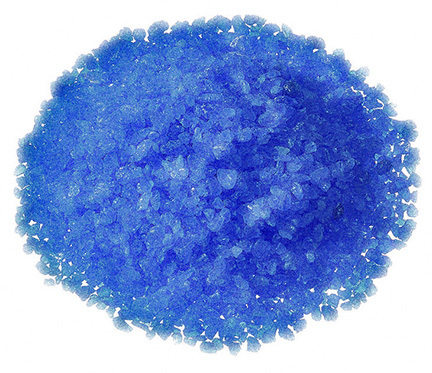 As of 1876, blue powder is still expensive and rare, used only in specialized weapons and generally deemed a luxury by most shooters. Cartridges containing blue powder are designated as “BPR,” or “blue powder rounds,” and are currently only produced at four locations: The John Bell Hood Armory in Nashville, LeMat’s Fabrique de Beaux Ouvrages in Louisiana, the New Canaan Armory in Deseret, and the Penhallow & Ming Mining Works of San Francisco. Recently, Vieille has made an important breakthrough by using azrucite-enriched gelatin to produce a controllable guncotton deflagration. Producing virtually no smoke and leaving little residue, this nitrocellulose-based propellant packs four times the energy of an equal amount of black powder. If Vieille’s “poudre-azul” is successful, it may change the face of warfare. The higher energies of blue powder and guncotton play havoc with traditional lead bullets, which tend to melt or deform under such intense pressure. This problem was first addressed by Alan Loveless with his technique of “ghost-hardening” the lead bullets used by his V75 Nauvoo Prophet. Although Loveless’ exact method remains secret, it is known to involve traditional case-hardening techniques using a pack of azrucite, iron, charcoal, lead, and bone. (Persistent rumors that Loveless uses human bones may certainly be attributed to the standard prejudices against Mormons!) These ghost-hardened bullets become encased in a thin shell of ghost-steel. Like modern “jacketed” ammunition, this outer shell strengthens the bullet, allowing it to retain its aerodynamic shape when exploding through the barrel. It also reduces the amount of lead residue deposited inside the barrel as the bullet spins through the rifling. Known as “leading,” this problem tends to foul firearms by gradually reducing the size of the bore. Loveless’ packing technique requires a large amount of ghost rock, a costly option outside of azrucite-rich Deseret. Understanding that nitrocellulose propellants require stronger bullets, Frederick Abel set to solving this side of the guncotton equation across the English Channel from his French partner Vieille. Abel found the answer in May 1876, establishing the “Waltham Abbey Process,” a chemical technique for ghost-hardening lead bullets using an electrolytic treatment of azrucite and sulfur. Requiring a significantly less amount of azrucite than Loveless’ traditional packing technique, the Waltham Abbey Process is a closely-guarded secret shared only between Britain and France. While most ghost-hardened rounds use azrucite alloys to strengthen the bullet, recently Lynchburg chemist Lutz von Becker has found a novel—if terrifying—use for orichalcum, the highly unstable alloy of azrucite and lead. Known as “Tartarus” rounds, these bullets exploit the tendency of orichalcum to burst into cold flame when exposed to heat or light. Tartarus rounds are packaged with a patch of matte-black photographer’s paper covering each bullet; this protective swaddling incinerates upon discharge. Like an early version of a tracer, Tartarus rounds produce a bright blue streak as they leave the muzzle. Their real impact is felt when they strike a living target. Undergoing immediate endothermic decomposition, the orichalcum bullets burst into blue flame as they “burn,” freezing living tissue and creating painful wounds that resist healing. Expensive and inherently unstable, Tartarus rounds also require ghost-steel barrels to function safely. As such, they remain quite rare outside the Great Maze. Most of the material in this section comes from my own knowledge of chemistry, which I abused terribly in the name of fanciful steampunk science. I confess, I have no idea at all why mercury would help “stabilize” ghost rock, but I was attracted to the alchemical aspect of pairing the quick and the dead. I’m also aware that lead cannot be “case-hardened” with iron and charcoal; but with azrucite, everything is possible. All hail ghost rock! When developing this particular section of the Armory, the following site was helpful: Patrick Sweeney’s “Guide to Gun Metal” from Rifle Shooter.